Choosing a perfect wedding venue is a real nightmare for many of us. There are so many things that we imagine--will the venue have enough space for my wedding guests? Where will I get ready? Where will I place the buffet table? And the ultimnate one that leaves us grasping for straws--which venue to choose for my wedding, reception or engagementfunction, A or B? None of us want to spend the rest of their bachelor days shopping for venues, following up on unanswered emails and calls. So, before you bump into some corners with confusion, here is a list of things you should consider before shortlisting a wedding venue. As cliché as it sounds, money makes or breaks the deal. Not just it, you need to know how to keep your priorities at the top and the venue cost to the minimum to accommodate other expenses. Some may include the venue cost in F&B charges and others might not. Some venues can even be availed on half-day and hourly basis. Also, look for hidden charges like electricity, generator, cleaning etc. Summate all the charges to find an estimated venue cost and accordingly allocate your budget to other aspects. Gosh, the mysteries of counting the number of people to invite for your wedding! Predicting the expected turn-out from the number of invitations to be sent is a science in itself. It depends on a numerous factors like how early you send out invitations, what day of the week is your wedding scheduled, whether it falls in a particular season, how accessible the location is and countless other reasons. It is impossible to predict the actual number but you would want to get as close as possible. Under-predicting will shoot up your budget with last minute changes while counting more people can result in wastage. Once you predict the number of guests you are expecting, you need to estimate the kind of space they would need. Do not forget the section your wedding staff might need to carry out their service effectively. We would strongly recommend you to visit the venue on during someone else’s wedding to get a clear picture as empty rooms can be deceptive. 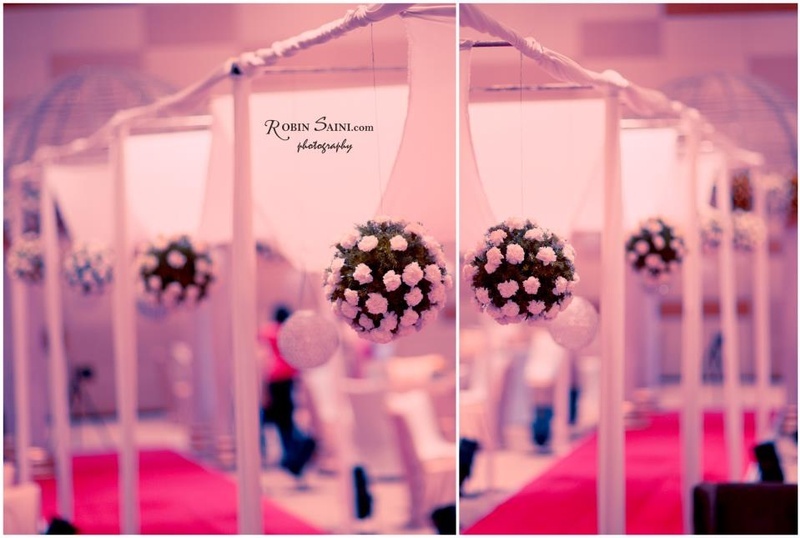 One of the crucial factors that are directly linked to your wedding’s success is its ambiance. Guests should be able to relax, interact with one another and enjoy the proceedings. Carefully examine the venue’s existing décor and interior and compare it with the designs in your mind. This should give you a clear idea if the venue can be decorated to provide the kind of ambiance you want. Of all the services and arrangements you make to treat your guests, food is something they would talk about for a very long time to come. No matter how fantastic your DJ is or how attractive your decorations looks, bland food can blow it all away. You need to be very careful in having a venue offering great food to satisfy the taste buds of everyone. Have food tasting sessions and also visit their kitchen to ensure they maintain proper hygiene. Whether to include alcohol or not, will surely be one of the questions that will storm your mind. Alcohol has its pros and cons, but in case you decide to treat your guests with the liquid courage, you need to know the limitations of the venue. There are venues that don’t permit liquor in certain areas; whereas, there are some which do not permit at all. Check with the management if they would let you bring liquor from outside. Also, make a note of the liquor licence and corkage charges and do not forget to add them to your expenses to keep a check on the budget amount. An appropriate location can slack off your guest’s travelling inconveniences. Choose a venue which is closer to the airport and railway station if majority of guests attending your wedding are coming from far away. For a destination wedding, it would be ideal to choose a venue on the outskirts to ensure your guests enjoy your big day in peace away from the noise of the city. In addition to the location, also look for venue’s parking capacity. Parking should ideally be close to the venue and well lit. You can choose to stray away from the typical banquet hall or urban loft spaces and opt for secret gardens. Snooping through other people’s albums for ideas and taking suggestions is a trick that always works. Naturally, your venue will be a reflection of elements you and your dude already like. Whatever you decide, giving some thought to it could seriously rev up the wedding celebrations.